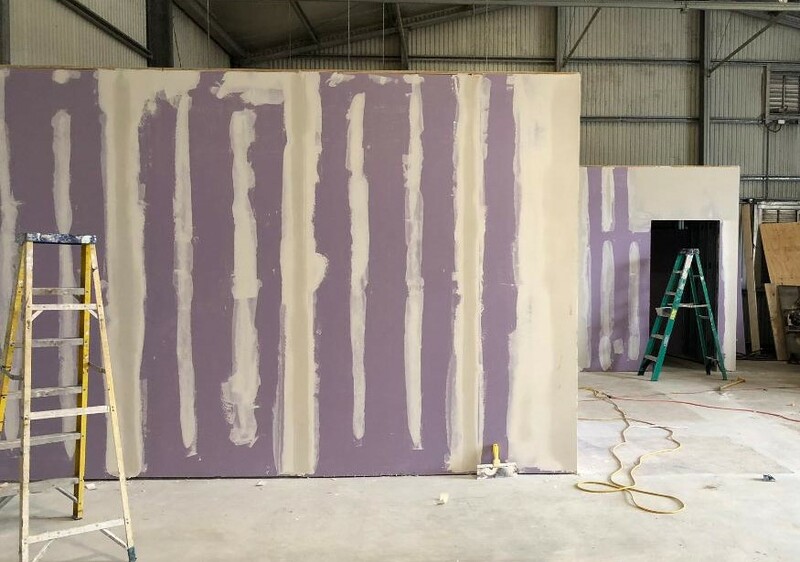 Time sure flies when you’re having fun, and we’re definitely starting to have some fun at the brewery, as our building is transforming from a warehouse (and at times a greenhouse) to a full-fledged functioning brewery. It’s fun to see progress every day, and here’s a taste of some of the big milestones that we’ve accomplished during recent construction. The last time we checked in on construction, we had wrapped up demolition and torn out an awful lot of concrete. 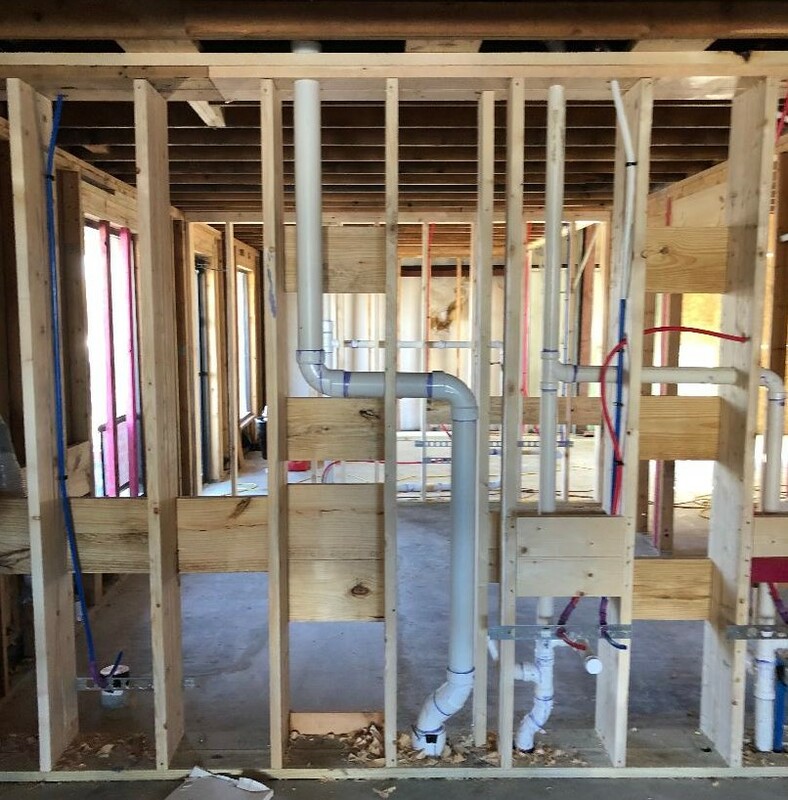 So next, it was time to install a network of elements that the public will hardly ever see, but forms the backbone of the our entire operation – plumbing. In our brewing area, as you can probably guess, a lot of waste water ends up going down the drain. 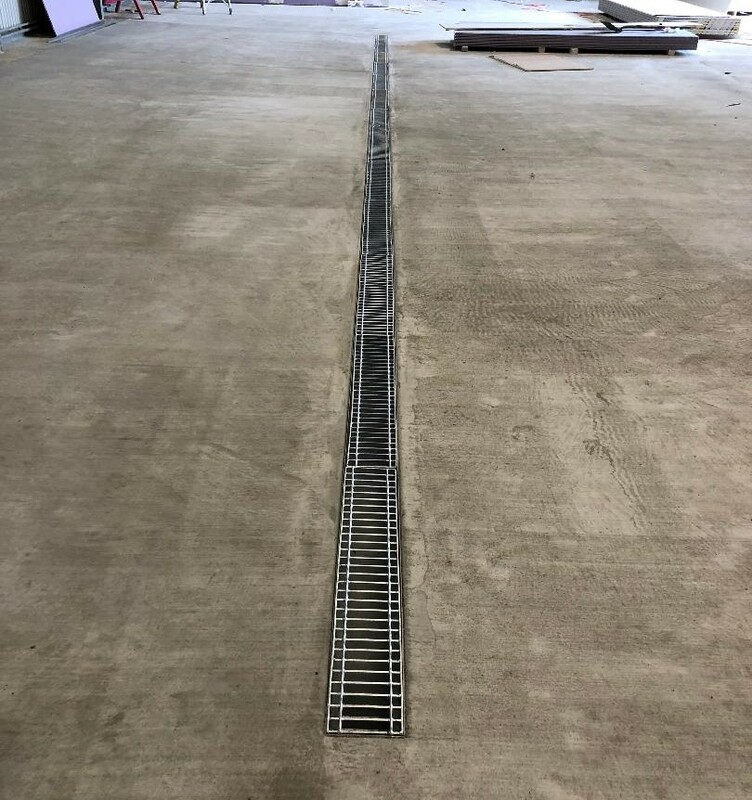 The volume of waste water is much more than it was with the prior business located in our building, so we had to install a large network of floor drains under the concrete. 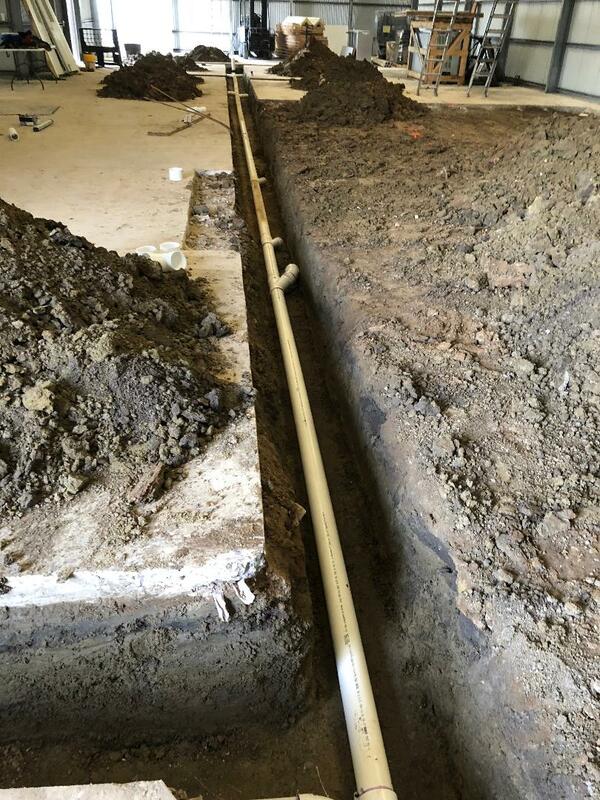 In the picture below, you can get a good idea of the drain work that needs to be done to ensure you have proper drainage in the brewery. At the same time, work was being done to bring water and drain pipes to service the taproom and the public restrooms. Soon we had restroom walls that were looking like this. Electric rough in work was also being done, with junction boxes and can lights being installed where they needed to be. We’re not too far from being able to close many of the walls up and look a heck of a lot more like actual rooms. We also started to see the separation between the tap room and the brewery taking shape. 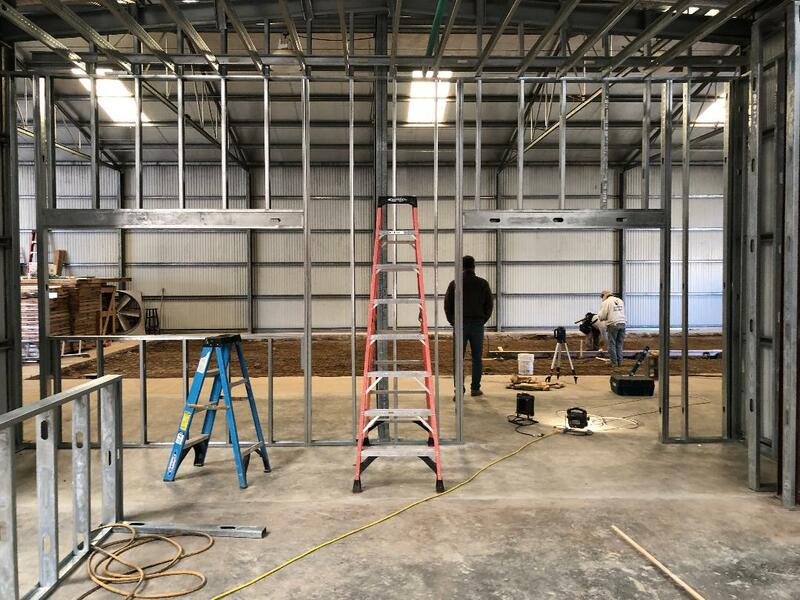 The wall between the two areas has been framed up, and you can see the openings for a glass double door and a sizable picture window so that guests can see plenty of the brewery while sitting in the comfort of the tap room. 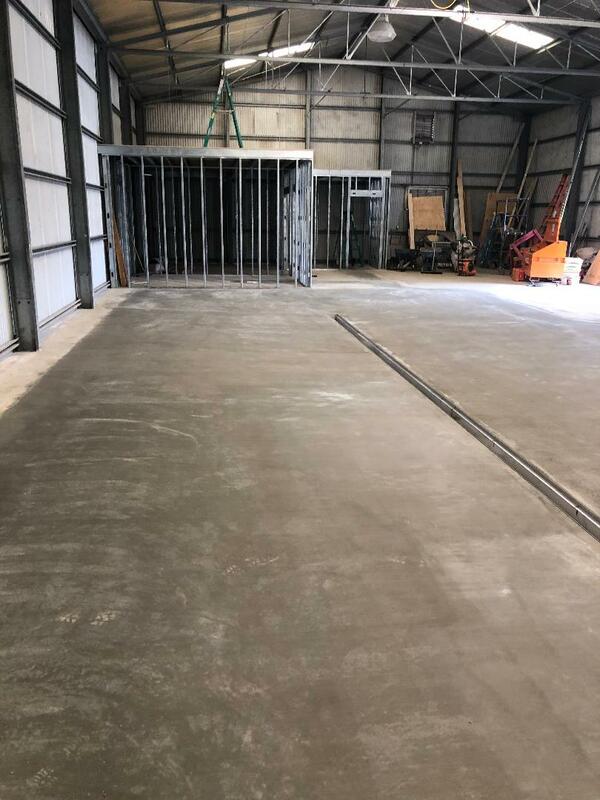 We also have great progress on the rooms that will be housed in the brewing area. 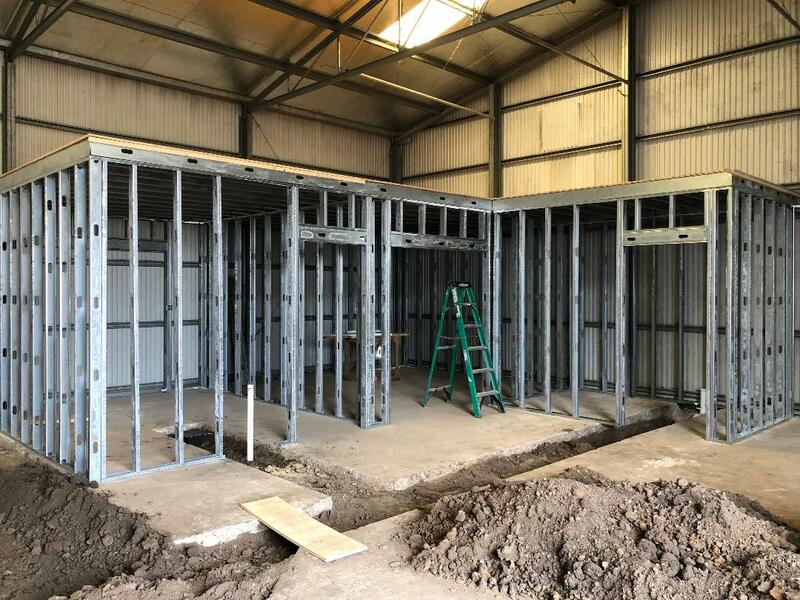 We need to have enclosed rooms to contain our boiler and our grain mill, and low and behold they’ve started to take shape – first framing, and then drywall. From left to right, these shots show our boiler room, mill room, and a really important part of our brewing operation – the lab. 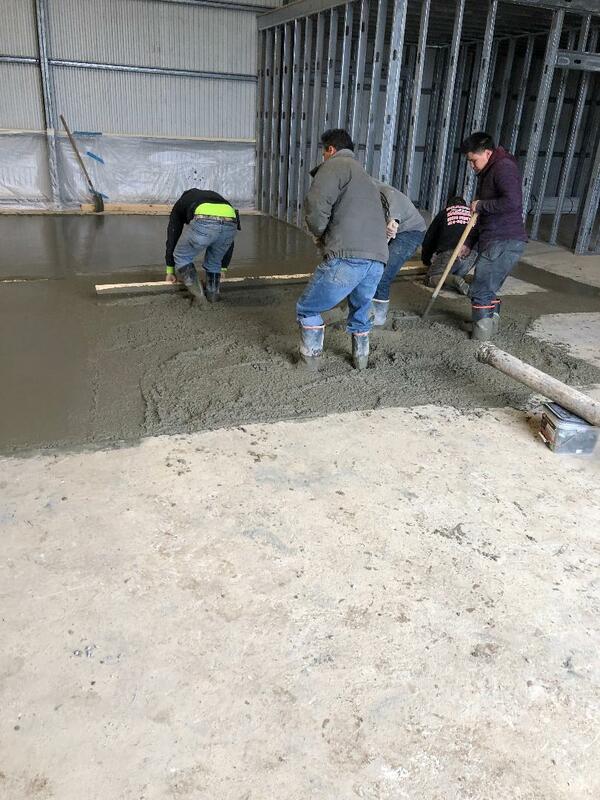 And oh yeah, lots of concrete being poured, filling in all of the trenches we cut, and also a major milestone – the brew pad! We’re getting there. Spaces are being defined, and it’s becoming a lot easier to envision the final product. More updates to come soon, so until then…Cheers!